CVD coatings from SilcoTek®, such as Dursan® and SilcoNert® can be used for sulfur analysis, in metal capillary and analytical columns and process systems. This article will explore how they can also be used to improve the inertness of metal filters and frits to chemicals and corrosion without filter clogging. Sintered metal frits are produced by the heating of compressed metallic powder to fuse the particles of the powder together, to provide a complex solid with embedded channels and pores. The porous structure of frits means they can either be used to keep particles in one location during industrial process, or as a sieve to filter out certain particles. Whilst frits are mechanically robust, their metallic constitution often means that they can interact with the mixtures they are filtering, making them unsuitable for use in industry. Such interactions include the absorption of reactive particles into the frits internal structure or the adhesion of particles to the frit surface. Coatings provided by SilcoTek, which are inert, corrosion resistant and anti-fouling, can act as a barrier, protecting the metallic frit from reactive chemicals. Frits are regularly coated to avoid interactions with the chemicals they are filtering. Coatings which are regularly used include PVD, epoxies and paints; however, challenges are encountered when ensuring the entire internal surface of the frit is coated consistently without the pores being blocked – which would prevent the frit from acting as a filter. This article will explore SilcoTek’s CVD coating method and how it avoids these problems. A previous study ran by SilcoTek explored the coating of a 2 µm sintered stainless steel frit with SilcoNert® 2000. The study demonstrated that the internal structure of the frit was fully coated with a layer that ranged from 50 to 80 nm in thickness. Dursan can also be used as a coating for fritted material and finds application in analytical systems, due to its chemical and corrosion inertness and in coal gasification systems because of its anti coking properties. SilcoNert and Dursan both use different precursor gases and for this reason the question remains – does Dursan coat the internal structure of fritted materials as well as SilcoNert? Can the PVD Coatings Penetrate all of the Frit? The most common question when using a CVD coating is if it will penetrate all of the frit – this is because most coating techniques are ‘line of sight’, i.e. they will only cover the external surface. As shown in Figure 1, CVD coatings from SilcoTek go beyond line of sight and can coat the internal networks of frits (including blind holes) whereas other PVD coatings can only coat areas which are a direct target of the coating deposition source. Figure 1: A CVD coated part will be conformally coated around the entirety of the part, while a part coated via a ‘line of sight’ method such as PVD will only coat areas that are facing the source of the coating. This will leave areas uncoated and exposed to the environment around the part. Do PVD Coatings Block Pores? 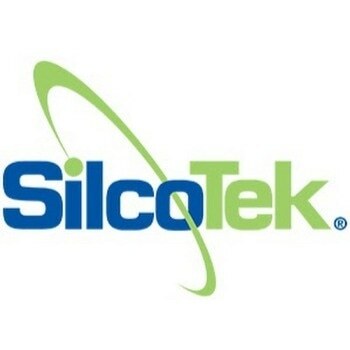 The majority of PVD coatings provided by SilcoTek have a thickness of a few hundred nanometers. This can cause some anxiety for researchers who want to use PVD to coat a frit because; if a frit has pores which are 2 µm wide, the PVD coating could occupy a significant proportion of this space. This could limit the size of the pore resulting in back pressure when the frit is in operation. However, this specification of a few hundred nanometers refers to coating a flat surface. For coatings inside frits (which have a large surface area:volume ratio) the coating thickness on internal structures is much smaller. For example, when coating a frit with 2 µm pore size with SilcoNert 2000, the internal surfaces had a coating thickness of 50 – 80 nm (measured using a Filmetrics F40). It should be noted that to achieve the same flow rate through the coated frit a slightly larger pressure may be required, but a significant increase is not required. The increased pressure needs can be evaluated using a flow or bubble point test. Is the Frit Coated Consistently? When coating amorphous silicon of less than a micron thickness, small variations in thickness can result in significant changes in the coating color. If a flat surface is exposed to a coating process gas at a high temperature, physical phenomena (including temperature variations, gas flow dynamics and small variations in surface topography) can result in variations of coating growth. For this reason, typical coatings can give surfaces a rainbow appearance. Figure 2 is a photo of a frit cross-section following breaking down the middle and shows three distinct colors – blue (80 nm thickness), pink (65 nm) and gold (50 nm). Confirmation that it is the same coating material (amorphous silicon, the material used in Dursan and SilcoNert) throughout the frit was carried out via Raman analysis. Figure 2 shows a cross-sectional photo of the frit after it had been broken in half. There are three distinct colors in the frit: gold which measures ~50 nm, pink which measures ~65 nm, and blue which measures ~80 nm. Raman spectroscopy was performed to ensure that the material that was deposited on the innermost portion of the frit was the same as the material on the exterior. It was confirmed that the coating is an amorphous silicon coating, which is what makes our SilcoNert 2000, and Dursan coatings. How Much Is Corrosion Resistant Coatings for Stainless Steel? What's the Difference Between CVD Coatings? Figure 2: Cross section of a frit that was coated with SilcoNert 2000. While there is a gradient of thickness from the center of the frit to the edges, the difference in coating thickness is only about 30 nm from the center to the edge. Dursan was used to coat a 2 µm stainless steel frit using SilcoTek’s method. Following coating, the frit was snapped in half to expose the internal structure, which was then imaged using electron micrography (Figure 3). As discussed earlier, this complex network would make it difficult to effectively coat using line of sight techniques (PVD, epoxies, paints, for example). SiloTek’s method is not line of sight and can reach inside a sintered frit’s internal network. Figure 3: Electron micrograph of the sintered frit after it had been coated and broken in half to expose the internals of the part for analysis. A frequent concern of SilcoTek’s customers is ensuring that all of the frit is coated, because uncoated regions could result in system weaknesses or failures. Dursan contains silicon and oxygen, and the frit contains iron, meaning EDS can be used to map where coating has occurred. Figure 4 shows a map of silicon, oxygen and iron, using EDS, which has been overlaid onto Figure 3. This map demonstrates good penetration throughout the whole frit. Figure 4 does show some regions without silicon or oxygen signals, however these also show no iron signals, indicating that this is the result of shadowing (due to a rough surface) as opposed to coating gaps. Figures 4 and 5 are electron micrographs and EDS maps at a high magnification in the very center of the Dursan coated frit. The high magnification allowed the coating thickness to be determined. The results were of high similarity to coating with SilcoNert 2000, providing a thickness, which ranged from 80 nm on the outer surface to 60 nm in the very center. The lower thickness in the center is due to the highly complex internal structure of the frit. Figure 4: Electron micrograph of the internal network of a 2 µm sintered frit at higher magnification. Figure 5: EDS maps of silicon at a higher magnification within the sintered frit. As demonstrated, the novel CVD coating technology used by SilcoTek can be used to consistently coat the internal structure of fritted material. SilcoTek’s coatings (Dursan and SilcoNert) are better for this application that PVD and other line of sight coatings which are poor when accessing the complex internal structure of a frit. Dursan and SilcoNert 2000 have both been shown to work by applying both coatings to 2 µm stainless steel frits. The coatings consistently and conformally coated all of the frit, including its internal structure, providing a barrier of adequate thickness, which did not block the pores (which would cause pressure problems) but protected the material from the surrounding environment. The coating process used gave a coating consistency, which showed only 30 nm of variation between the thinnest and thickest coating regions. Researchers using frits who have experienced problems with its service life or activity should consider protecting their frit, and getting optimal performance from it, by using coatings from SilcoTek. This information has been sourced, reviewed and adapted from materials provided by SilcoTek. For more information on this source, please visit SilcoTek.